(CRISFIELD, MD – October 1, 2016) On Friday, September 23, Board members and volunteers from the Crisfield Heritage Foundation hosted a waterfront cookout for University of Maryland Eastern Shore students who spent the following weekend rehabilitating, documenting, and mapping the Nelson graveyard plot and homestead in Hopewell, Md. The Nelson homestead was designated one of Maryland’s top 10 endangered historic sites by Preservation Maryland in 2014. The graveyard rehabilitation project is part of an effort to preserve the physical and historic integrity of the Nelson plot. Among others, The Crisfield Project Story’s historian and local storyteller Joe Paden spoke to students about Somerset County history and the families associated with the homestead. The event took place at Somers Cove Marina’s pavilion nearest the J. Millard Tawes Historical Museum in Crisfield, Md. In addition to the reception, UMES students stayed the weekend at Janes Island State Park and worked at the homestead clearing brush and grounds, cleaning and repositioning fallen headstones, and painting the wrought iron fencing. Partnering on the project were the UMES’s Office of Engagement and Lifelong Learning, the Crisfield Heritage Foundation, and The Crisfield Story Project. The Crisfield Heritage Foundation’s mission is to preserve the heritage of Crisfield and its environs; to educate the public concerning this heritage; and to serve as the central hub around which tourism in the Crisfield area revolves. CHF’s entities include the J. Millard Tawes Historical Museum, the Ward Workshop, and the Cedar Island Marsh Sanctuary, among others. For more information about CHF, call 410-968-2501 or visit www.crisfieldheritage.org. UMES students working on Hopewell’s Nelson homestead and graveyard rehabilitation this past September 24 and 25 attended a waterfront cookout on Friday, September 23, hosted by volunteers and Board members of the Crisfield Heritage Foundation. At the reception, stories about Somerset County history and the families associated with the homestead were shared by a number of speakers, including The Crisfield Project Story’s historian Joe Paden. Partnering on the project were the UMES’s Office of Engagement and Lifelong Learning, the Crisfield Heritage Foundation, and The Crisfield Story Project. 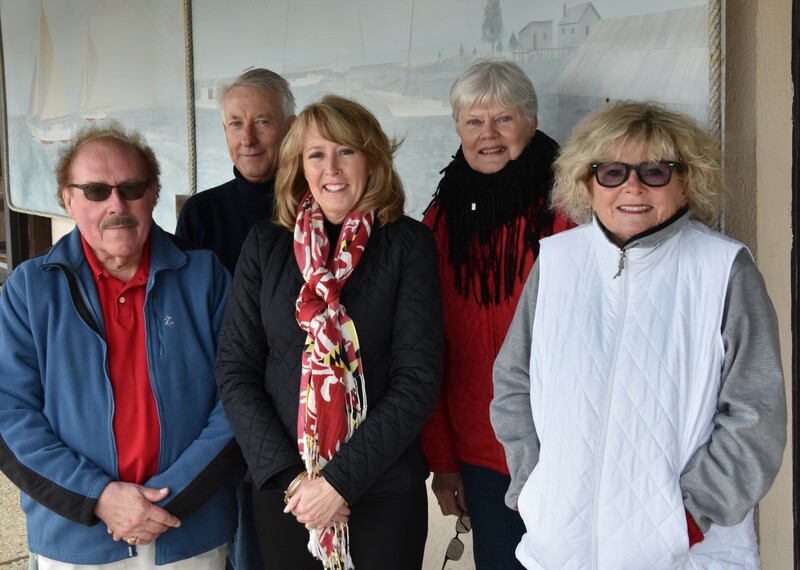 The event took place at Somers Cove Marina’s pavilion nearest the J. Millard Tawes Historical Museum in Crisfield, Md.